Here at Secret Sales HQ, we understand that 'Keeping up with the Joneses' can present quite the challenge. Thankfully, our chic metal wall art edit has just landed on our virtual shelves. 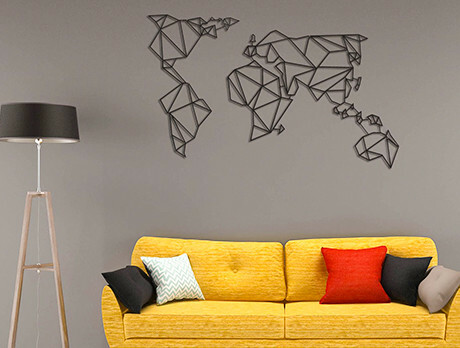 A simple way to infuse your abode with a difference, there's world maps, playing cards and slogans offering distinction for your nest. Yours will be the most talked about house on the street!